From the big city teams players to youngsters not yet in their teens, there was room for everyone at the 2019 Alberta Basketball Youth Provincials, March 8 and 9 at the Saville Community Sports Centre in Edmonton. Just like the Worsley Wildcats, who came from one of the tiniest locales and played with an awful lot of heart. The Wildcats won the Boys U15 C/D Division, defeating the Calgary Running Rebels 57-53 in a fantastic gold medal game. Worsley is a hamlet in Northern Alberta with a population of approximately 130. The Wildcats represent Worsley Central School in varsity hoops. “Our Worsley junior boys team had a great season playing basketball.,” says Wasylciw. “When I got the email about (Youth Provincials), I decided it would be awesome to give the boys one more chance to play their hardest and possibly bring home another medal to our small community. I wasn’t sure how it would turn out, but I knew that they had great potential! Youth Provincials featured 200 total games in an action-packed 36-hour span. 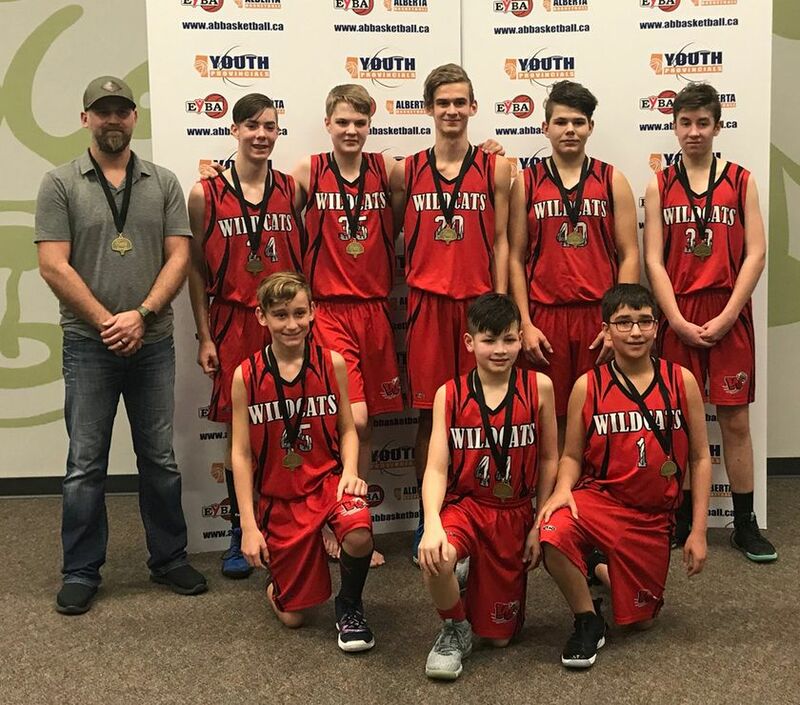 The Wildcats were one of 120 boys and girls teams - including from as far away as the Northwest Territories - that came together in Edmonton for “Alberta Madness”. Please visit https://admin.tourneymachine.com/Public/Results/Tournament.aspx?IDTournament=h20181218193149844d2e6e9cada3d45 to view results from all divisions at Youth Provincials 2019.